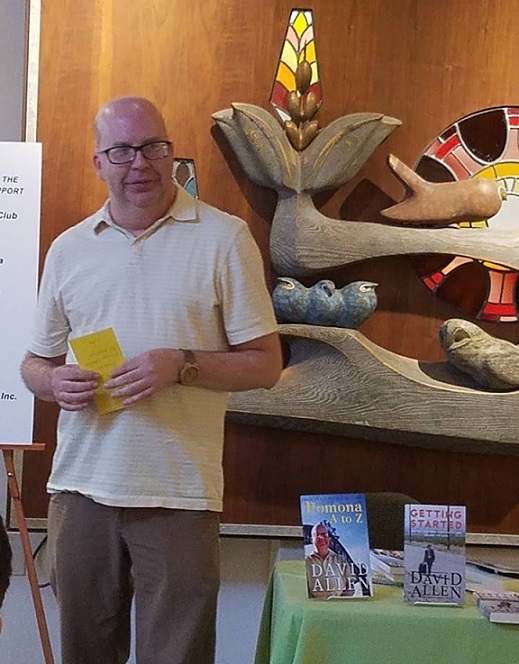 Your humble scribe spoke July 16 in Ontario at the Chaffey Community Museum of Art downtown, jointly sponsored by the museum and Ontario Heritage. I didn’t know what to expect, especially after the Facebook invite said “0 going, 0 interested,” and settled in to my 90-minute book signing with some reading material close at hand. But a steady stream of customers walked up, and I met some nice people, or renewed acquaintances with others. I sold 25 books, signed a 26th that someone brought in and didn’t have a break. 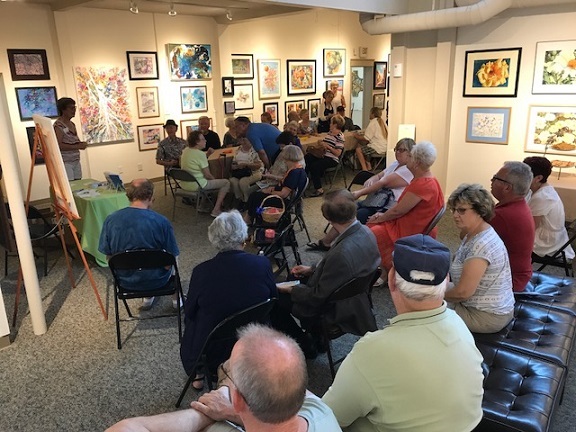 The talk followed, with 30 in the audience. I talked a little, read a column from each of my two books and took questions about my career (peaking), my early interest in writing (adorable) and the future of newspapers (dim). People responded to my reading with laughter, which was much-appreciated, and seemed to be paying attention and to be having a good time. I sure did. Thanks to CCMA, Heritage and those who gave up an afternoon to listen to a newspaper guy for making this among my best-attended, and most enjoyable, book signings and talks. Photo above is by Petrina Delman of Heritage; that’s a John Svenson piece behind me, making me look good. Below is a photo of the audience as CCMA’s Nancy DeDiemar speaks, to give you a sense of the room.